Offers All you require for a top quality Technical Sock. The Uni Sock is made from Marfil, which is a top style of Polyproplene fibre, It offers a thermal fibre,whose qua specific weight is the lightest available. 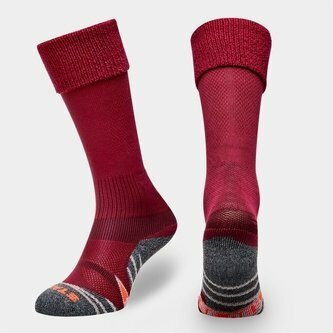 The Uni Match Sock is moisture transportable,Unshrinkable and recylable.Polypropylene gives perfect comfort to your feet and avoids skin irritation. - Mesh-knitted backside for perfect fitting and comfort. - Reinforced heel highdensity pad protection.